Waterstones today announced figures that suggest the book market has been effected by reduced customer spending during the current economic climate. The retailer’s parent company HMV saw Waterstone’s like-for-like sales drop 3.1% in the 26 weeks between April and 25 October. The comparison showed a 1.4% fall when adjusted for the phenomenal impact of Harry Potter and the Deathly Hallows on 2007’s result. The report also shows HMV has suffered market deterioration since the end of October which is in line with the well-documented downturn in consumer confidence. 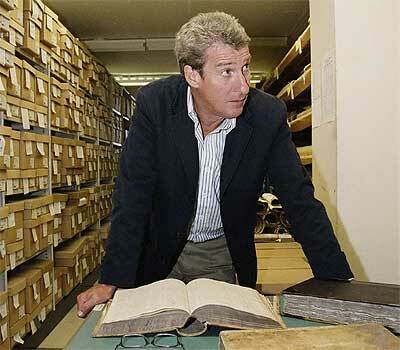 It is quoted in saying the book market has seen a ‘marked deterioration’ in the five weeks to 29 November. Waterstone’s operating loss before exceptional items increased in the first half year to £9.3m from £8.9m in 2007. According to HMV the book market as a whole shrunk 5% during the period and had been particularly hit by poor performances by non-fiction publications. What is perhaps more worrying is the continued work with year-on-year losses. Before tax losses for the group were £27.5m, against £28.7m a year earlier. Of course this doesn’t mean that novel writing has to be unprofitable. Self-publication can be a fantastic way of getting your work read by a wider audience and earning money on the side. The Scribbler will be looking to publish advice and guidance on the best means of self-publication in early 2009. Keep it here for all the best news, reviews, features and interviews on the literary industry. Has the credit crunch stopped you buying the number of books you would normally like to? Have you resorted to library loans? Aspiring writer? Would you consider self-publication if publishers begin a campaign of turning authors away due to the economic climate? Let us know below. Classic literature on a Nintendo? Books no longer need be read in the traditional stinging paper-cut inducing way. We already have e-book readers to turn the electronic pages of our favourite book but now Nintendo are furthering the technological revolution reshaping the publishing industry. 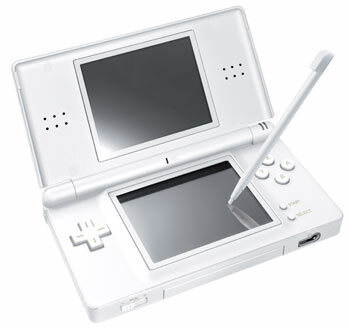 The so-called ‘touch generation’ of Nintendo DS users are pioneering a new concept in videogaming, using the groundbreaking hardware to read classic literature. A collection of popular novels will be released on 26 December. The DS release will be entitled 100 Classic Book Collection. Developed in partnership with publishing heavyweight HarperCollins the collection will include classics like Jules Vern’s 20,000 Leagues Under the Sea and Around the World in Eighty Days as well as tales from legendary detective Sherlock Holmes. The software also features a brief synopsis of each book and recommends reads based on what mood you are in. It has been well documented that more books will be available via the DS’ Wi-Fi function. The initial package will set you back the modest fee of £20. 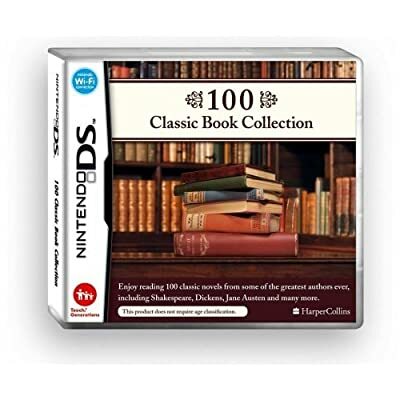 The Nintendo Wii has managed to redefine gaming for many users but the question still remains will the 100 classic books collection redefine reading DS users across the globe? The Rest is Noise by Alex Ross was named this year’s Guardian first book at a ceremony in central London last night. The overwhelmingly in-depth history of 20th century music, embracing classical through to contemporary, was the undisputed winner of the £10 000 first prize. 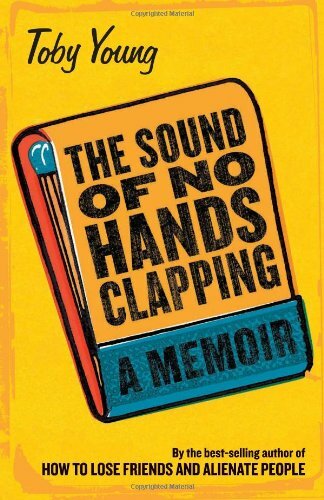 The Guardian’s website describes Ross’ book as ‘a lifetime’s enthusiasm and learning distilled into a rich narrative of musical history, setting the works of Mahler, Schoenberg, John Cage and the rest into their cultural and political contexts – but also giving a vivid sense of what the music he describes actually sounds and feels like’. The current music critic of The New Yorker Ross, 40, was born in Washington DC. He was an enthusiastic teenage musician but it wasn’t until studied English and history at Harvard when he became interested in journalism and became a student broadcaster. Ross began writing music criticism after university and was appointed to his current role at The New Yorker in 1996. He also has a blog which he uses to great effect in transmitting his work around the globe. The judging panel for this year’s Guardian first book award was made up of novelist Roddy Doyle; broadcaster and novelist Francine Stock; poet Daljit Nagra; the historian David Kynaston; novelist Kate Mosse and Guardian deputy editor, Katharine Viner. Stuart Broom of Waterstones‘ spoke as the representative of the retailer’s reading groups. The other books shortlisted for the award were Mohammed Hanif‘s A Case of Exploding Mangoes; Ross Raisin‘s God’s Own Country; Steve Toltz‘s A Fraction of the Whole (also put forward for the Man Booker prize) and Owen Matthews’s Stalin’s Children. 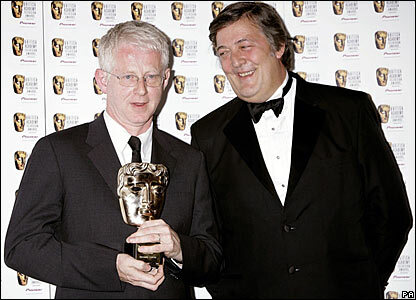 Previous winners of the prize have most notably included Stuart: A Life Backwards by Alexander Masters (2005) and Zadie Smith‘s White Teeth (2000). The shortlist for the Guardian’s First Book Award has been published with an extremely varied bunch of first time authors making the short list. The award which has a £10 000 cash prize is seen in many literary circles as being unique, not only because it recognises first time writers but also the lengths it goes to to involve reading groups all over the country. Taking in fiction, non-fiction and poetryu the books range from a 20th century history of music, a memoir of a soviet era romance and a dark story of obsession and violence based in Yorkshire. Others making up the shortlist include a political novel set in Pakistan and a carnivalesque Australian saga. The shortlist was determined by Waterstones reading groups up-and-down the country who helped narrow down the selection from ten books to just five. Previous winners of the award have included Zadie Smith for her novel White Teeth (2003) and Dinaw Mengestu for the Children of The Revolution (2007). The Scribbler will announce the winner of The Guardian Book Award before anyone else right here…although probably not before The Guardian. Has anyone read any of the shortlisted books? If so, what’s your opinion of them? Does it deserve this accolade? Hello enthusiastic writer and welcome to the first post of the new Scribbler Blog. This weblog is designed as a precursor for the eventual release of The Scribbler magazine and official website. In the long term The Scribbler will be a monthly magazine concerned with new and exciting literature from contemporary authors, poets, screen/playwrights and journalists. With the purest of intentions, the magazine will inspire and advise amateur writers in penning their first masterpiece. This blog, and later the magazine, will include tips and guidance from established authors and industry representatives on how to get published. On top of this all the news, reviews, features and interviews on exciting industry developments will also be featured. Here’s the profound bit. The mission of The Scribbler to showcase and nurture exciting new contemporary writers, novelists, poets, journalists and screenwriters alike. The objective of the publication is to inspire and engage amateur writers by providing features and interviews with their favourite writers as well as tips and guides on succeeding in the publishing industry. The idea behind The Scribbler was first born while I was at university studying journalism. My project partner, Seamus Swords, and myself, wanted to inject some life into the stagnate literary sector of the magazine industry. We felt the perfect remedy for this would be to interview, report and analyse some of the most exciting, controversial and contemporary writers around.